you can’t do that using the built-in functions because the icons don’t accept a template. you can change it using a custom-ui developed by another user. but it needs to be installed. 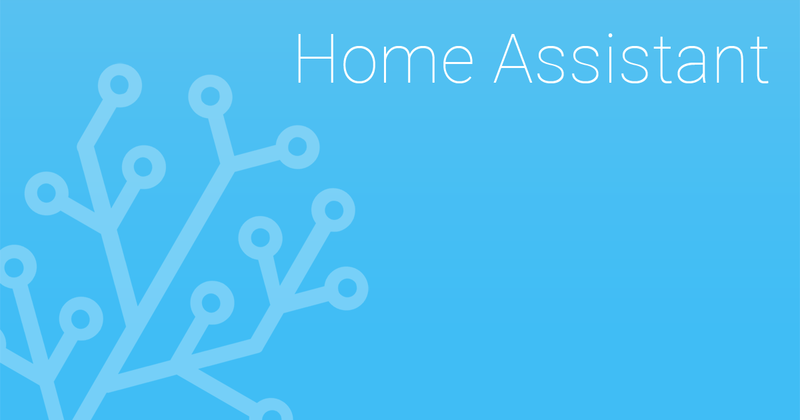 Custom UI elements for https://home-assistant.io. Contribute to andrey-git/home-assistant-custom-ui development by creating an account on GitHub. Can’t he just create his own binary sensor using the state of the ping binary sensor and his own template to get the effect he wants? This should give you a sensor using the state of the ping sensor, the displayed state of the power device class, using the television icons. I think. Not at home so I can’t test. I can test that but which file do I put it in configuration.yaml or customized.yaml as I noticed it doesnt have the ip address? Also, would I have to duplicate this for the 2nd tv ? yeah, he could do that. good idea! Put it in your configuration.yaml near where you have the ping sensors set up. Yes you have to duplicate it for the second TV. These sensors are really just a customized duplicate of the original ping sensors you created. Use these new sensors in your front end. You can add hidden: true in your customize.yaml to the ping sensor configurations if you wish to “hide” the now duplicate ping sensors from home assistant. Yeah there’s a typo in there. Typed it in a hurry. Good exercise for you tho - you’re going to have to learn how to decipher those errors! Third last line should be. Go over this page here to understand how that was put together. Instructions on how to integrate Template Binary Sensors into Home Assistant. Got rid of the errors and reloaded but icons not changed. What do you mean “not available on this”? And do I get it right that you want to have a changeable (based on your ping sensor) icon for your TV that changes its colour depending on state (On/Off)? I saw that mdi:television icon was available as an icon but then I saw mdi:television-off icon was available too as an icon on a webpage I was looking at but looking now, I cant see mdi:television-off. I might use mdi:mdi-power for off and the mdi:television for on when I get the code working. Cant access my hassio at the moment but will look more into suggestions people make and I thank all the replies so far. I use this page to find my icons. mdi:television-off is available. If it’s not showing up then something else is wrong. Out of curiosity, what kind of device are you pinging for your TV. Are you sure that even in the off state that the device is not pingable? For example, I use Chromecasts. Even when a Chromecast is “off” I can ping it. In my case, if I used a ping sensor to test for power state it will never show my TV as off (unless the Chromecast is actually unplugged). Instead I can use the media player entity for the Chromecast. Now not only can I see the state of the TV, I can control it with the same media_player entity. If you really need to have a separate sensor of the power state of the TV (and there are case uses for that) you can create a template binary sensor that reports the state of the media player, rather than trying to ping the device. Instructions on how to setup your media players with Home Assistant. I’m pretty sure that jut because the icon is listed on the mdi website that it doesn’t guarantee that it is included in HA. HA has to bring in the list of icons from mdi before they are available inside HA. If it’s a new icon it might not be available in HA for a bit until the next update. but firstly: using this template sensor creates an extra sensor in the system. the value_template is trying to imitate a binary_sensor template. Why not simply use that platform?https://www.home-assistant.io/components/binary_sensor.template/ If you do that, the value can either be true or false (or any of the other binary duo’s) and the exception isn’t needed in the template. correct, there’s always some lag between updates. found out today myself again… still using 84.3 of course Always test with available icons is a lesson learned early on. might be just the thing OP needs? As far as I can tell @dicko is just starting out. I was tying to keep it as basic as possible. Does custom:ui actually work with lovelace now? I didn’t think it did so I haven’t used it since I switched over. If it does that could make things interesting! And I’m assuming at this point any new users will jump right into lovelace UI since it is the default now. I included the device_class to get the reported state like you mentioned. I’ve done similar things with many of my binary sensors (used a device class to display the state with my own icons). It seems to work well. Is there a disadvantage to doing it this way? Re duplicate sensors - I hear ya! That is why I suggested using hidden: true in the customize.yaml for the duplicate sensor earlier in the thread. The ping sensor is what we started out with at the top of the thread! I have a feeling that his TV device (whatever it is) is still pingable in the off state like a Chromecast and that is where the problem currently lies. That and I’m not sure why he isn’t using a media player entity for his TV. My only experience with TV’s is using a Chromecast so I could be wrong here. I’ve only been working with HA for a year or so now myself and am now trying to pay forward some of the help I’ve gotten along the way. So if anything I suggest can be done better or more efficiently lay it on me - I’m all ears! True enough. In this case I did test md:television-off since I don’t use it myself to make sure it was available. Ah here it is. Found one of the threads that caused me to dump Custom-UI. I also got the impression here that supporting CustomUI isn’t a priority for the dev so I didn’t want to invest too much of my UI in it. But if you’ve got it working I might just give it another go. Really the icon colours is the only feature I’m missing very much. Thomas Lovens plugins took care of much of the rest. Sorry for hijacking your thread @dicko!